At a recent demonstration, a drone moved up and down an aisle packed nearly to the ceiling with boxes, taking 30 images per second. Walmart’s VP of Emerging Sciences and Technology explained that the machines could help catalog in as little as a day what now takes employees about a month. Walmart workers now manually scan pallets of goods with hand-held scanning devices. 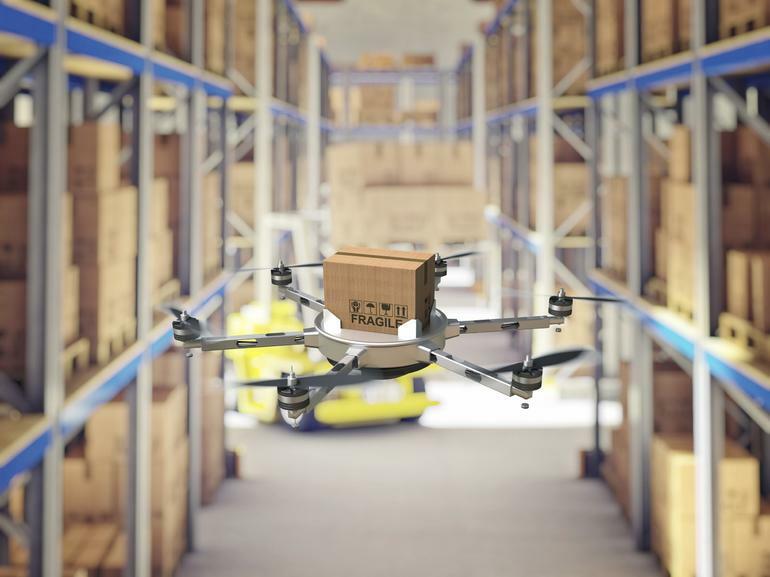 The drone’s methodical, vertical movements would essentially mimic the path of a person in a forklift who might be inspecting labels and inventory. While a Walmart employee may handle the drone, the technology could mean fewer workers would be needed to take stock or replace missing items. Walmart is under intense pressure to grow amid an onslaught of low-cost competition, particularly from Amazon. It has committed to spending $2.7 billion on labor and technology to improve its on-line business. Walmart operates 190 distribution centers in the U.S., and each one services 100-150 stores. Millions of items can move through the centers each week and onto a fleet that includes 6,500 trucks and 8,000 drivers to move merchandise throughout the U.S.